With just a few days left in the Nordstrom Sale (prices go up August 3! 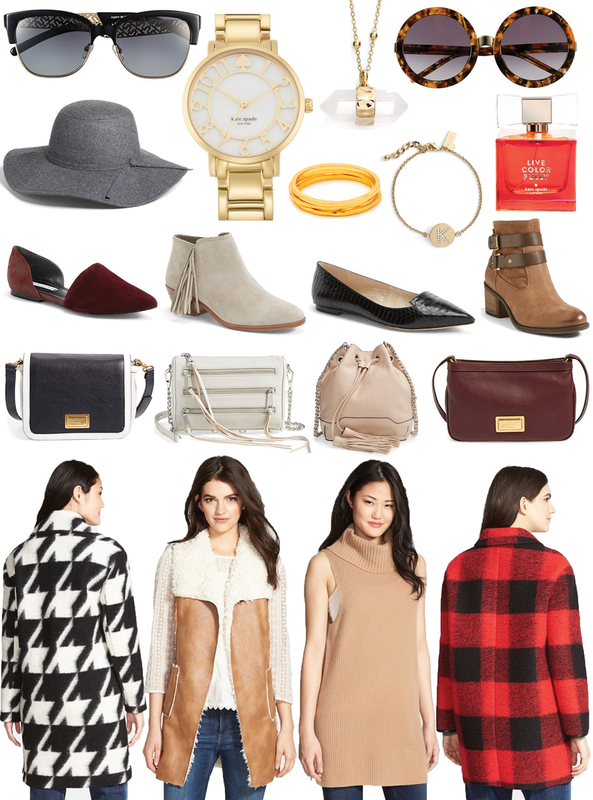 ), I thought I'd share one last round up of my pre-fall favs from the sale. With most summer mech on sale now, I find myself scanning stores and online for items I can start to get some wear out of now and into next season. Here are some of my picks from the sale! You are tempting me to spend more! great picks! Buffalo check is coming back this fall!Y Yay! Hard to think of Fall when we've barely had a decent summer. Yuck. lol. We have the same taste in shoes! Love your picks! Love the floppy felt hat!! And the buffalo plaid coat!! Oooh some beautiful pieces! I guarantee that now i've seen this i'm going to go shopping for some autumnal things! LOVE all of those bags and those maroon flats are stunning!